Ultra PRO, the leading manufacturer and supplier of memorabilia, collectibles and tabletop gaming accessories announced today two new party games releasing soon, Fake News or Not?™ and #AlternativeFacts™. In today’s world of click-bait headlines from unconfirmed sources, how can anyone uncover the truth? By taking what is real and fake into their own hands and having fun while doing it! Whether you listen to the nightly news or get your daily info from Twitter, take a break from the madness and bring some humor back with these witty social party games. Fake News or Not?™, designed by Reinhard Staupe, is the captivating game about phony funny stories and ludicrous true tales. Set in today’s political climate, players can be a legendary news anchor or fact-finding fact-checker. The challenge is to use deduction, evaluation, and logic to identify who’s telling the truth and whose pants are on fire. This is a game for know-it-alls, wiseacres, and lovers of interesting and trivial knowledge. “When Fake News was presented to us, we knew it was the right time and game to launch this summer", said Dan Rowen, Senior Director of the Playroom Entertainment Division of Ultra PRO. "This game brings family and friends together no matter what side of the aisle they are on causing people to yell with excitement instead of disgust. The designer and our team spent over a year collecting real stories from around the world and players have such a fun time trying to determine which are fake news stories and which are not." Designed for two to six players and with an affordable MSRP of USD $20.00, Fake News or Not comes with 200 double-sided cards and easy to follow instructions for game rounds lasting from 30 minutes to an hour each. #AlternativeFacts™, created by Ryan Miller, is a party game that is a clever take on the current news where players craft creatively concocted and hilariously erroneous headlines that rival any late-night Twitter posting. In the spirit of keeping things social, if players tweet the headlines they create using the #AlternativeFactsGame hashtag and it comes true, Ultra PRO will send them on a free trip to Russia! 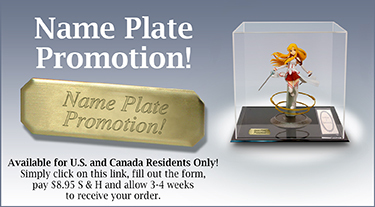 This could be a fake or real offer; you’ll have to play to find out! At USD $10.00 MSRP, #AlternativeFacts comes with 134 cards and is the perfect game for two to four creative minds to bring back some humor during these stressful times! For more information about these games or any other Ultra PRO Entertainment titles, please visit www.ultraproent.com, or find a shop near you at www.findultrapro.com. Retailers can inquire about wholesale pricing through an authorized Ultra PRO distributor listed at www.buyultrapro.com. Ultra PRO and Stone Blade Entertainment today announced that they have entered into an agreement under which Ultra PRO will acquire the rights to Stone Blade Entertainment’s tabletop games portfolio, including the Ascension Deckbuilding games series. Under the completion of the transition, Ultra PRO will handle tabletop publishing, marketing and promotion, engaging its extensive presence in the gaming market to bring Stone Blade Entertainment games to new audiences, while allowing Stone Blade Entertainment to focus on designing new quality games. This strategic transaction strengthens Stone Blade Entertainment’s index of tabletop games to maximize reach and awareness by applying Ultra PRO’s existing distribution channels and promotional efforts to bolster games including the Ascension Deckbuilding franchise, family-friendly bluffing game, Bad Beets and upcoming card game, You Gotta Be Kitten Me!. You Gotta Be Kitten Me! is the first game to be released under this new partnership. The fast-paced casual card game featuring felines and canines wearing adorable accessories, will be available in Sept. 2016 via local retailers and on YouGottaBeKittenMe.com. 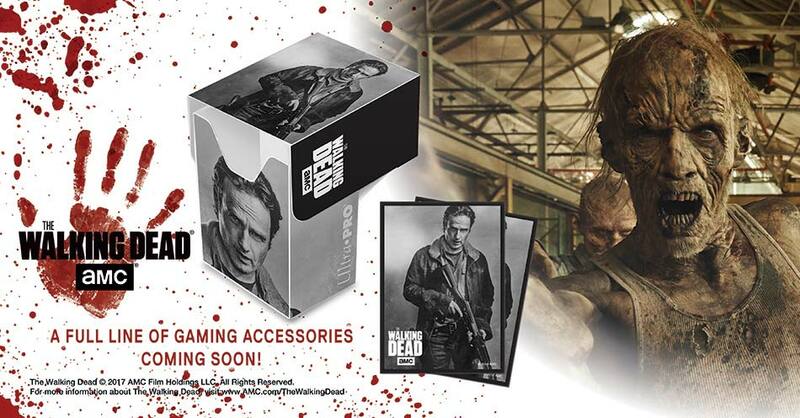 Ultra PRO International LLC ("Ultra PRO") announced today a partnership with AMC to launch a range of tabletop gaming accessories featuring the network’s hit original series The Walking Dead. 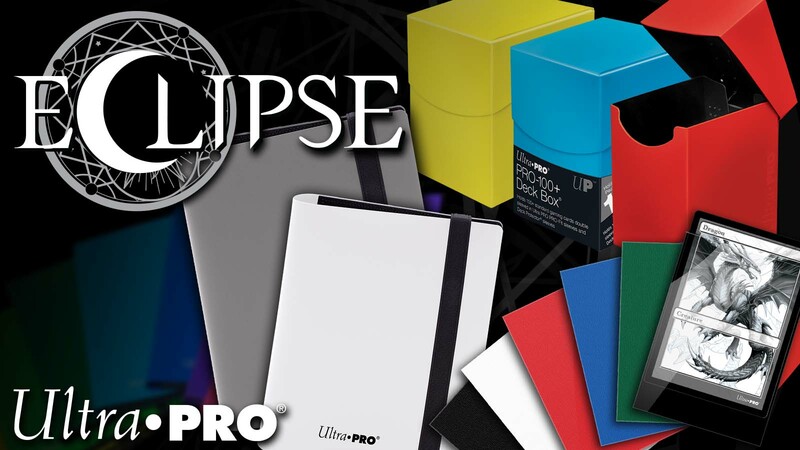 The first collection of Ultra PRO accessories is planned to launch to worldwide distribution with playmats, card sleeves and storage boxes, which will be available by September 2016. In addition, score keeping counters are planned to be available during the first quarter of 2017. 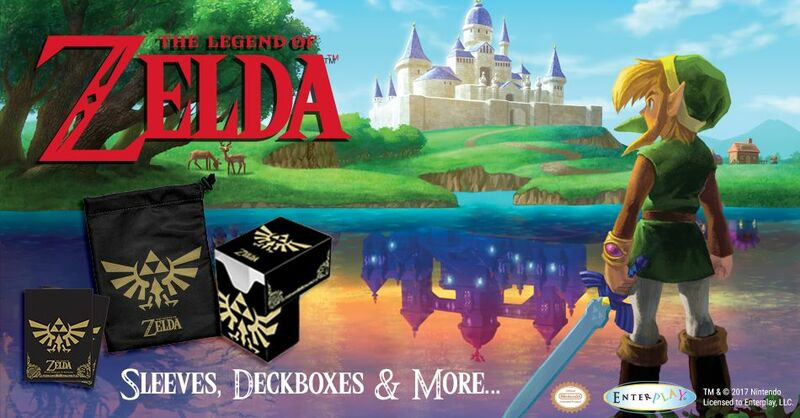 Ultra PRO produces a variety of accessories commonly used in tabletop games such as Magic: The Gathering, Pokémon Trading Card Game, Dungeons & Dragons and a variety of board games and other role playing games. 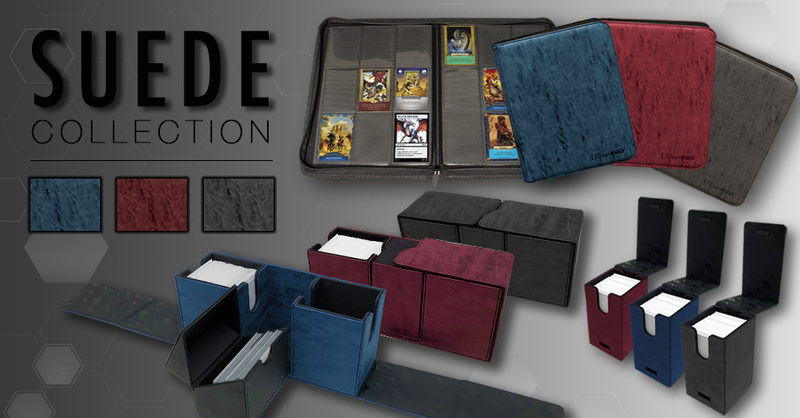 Popular items include custom printed card sleeves used to protect valuable cards during game play, card storage boxes, score keepers, playmats, dice, carrying cases and traveler’s bags. Ultra PRO’s products primarily cater to the growing pop and geek culture market, and are sold throughout hobby stores, specialty and mass market retailers worldwide. Based on the comic book series written by Robert Kirkman and published by Image Comics, The Walking Dead reigns as television’s most watched drama for adults 18-49. The Walking Dead tells the story of the months and years that follow after a zombie apocalypse, and follows a group of survivors, led by police officer Rick Grimes, who travel in search of a safe and secure home. The series, which has been heralded by critics as “an honest-to-God phenomenon” (Variety), “relentless and provocative” (Orlando Sentinel) and “brilliantly engaging” (TheHollywoodNews.com), is executive produced by showrunner Scott M. Gimple, Kirkman, Gale Anne Hurd, David Alpert, Greg Nicotero and Tom Luse. The series returns for its seventh season this October on AMC. Ultra PRO International LLC (“Ultra PRO”) has acquired Ruby Mine, Inc., which designs and produces conversation starter kits under the brand TableTopics. Created in 2004 by Cristy Clarke, TableTopics is a collection of conversation starter cards with intriguing questions for people who want to spark fun, interesting, meaningful discussions at any social gathering. With editions for adults, families, teens, couples, dinner parties, and many more, TableTopics is committed to making the most out of the conversations that happen around us every day, no matter where we are, or who we are. Approximately 4,500 stores carry TableTopics nationwide, including specialty gift boutiques, book, stationery and game stores, and mass merchants. There are currently over 20 products in the TableTopics catalog and a strong pipeline of new editions under development. “The addition of Cristy’s team and TableTopics is an exciting opportunity for us to expand into markets and channels that are new to us, and vice versa. Sharing ideas and igniting social interaction through cards is applicable to everyone no matter what your interests are, and we’re proud to work with the best-in-class brand in this product category.” comments Jay Kuo, Senior Vice President of Ultra PRO. Ultra PRO International LLC (“Ultra PRO”) has acquired Jolly Roger Games (“Jolly Roger Games”), a designer and publisher of critically acclaimed tabletop strategy and story-telling games based in Sigel, Illinois. Terms of the transaction were not disclosed. Formed in 1996 by founder Jim Dietz, Jolly Roger Games has published critically acclaimed board game titles based on historical and political events such as Founding Fathers and Kremlin; as well as 13 Days, a game based on the Cuban Missile Crisis which was recently successfully funded via Kickstarter. Jolly Roger Games is also amidst completion and fulfillment of a hotly anticipated story-telling game, Cthulhu’s Vault, in which players take turns weaving a unique dark tale of mystery and corruption, culminating in a final showdown between good and evil. “We are very excited for the opportunity to work with Jim who founded Jolly Roger almost a decade ago and will continue to lead Jolly Roger as a division of ours under his new title as Director of Jolly Roger Games. Jim has found success publishing games with themes and topics that are educational, fun, social and very unique, and our goal is to support Jim with our manufacturing and logistical resources so he can continue doing what he does best and expands the Jolly Roger library of board games.” comments Jay Kuo, Senior Vice President of Ultra PRO. In 2014, Ultra PRO International LLC (“Ultra PRO”) entered into a license agreement with Crypton Future Media, Inc. (“CFM”) to produce a series of trading card game accessories featuring the virtual pop singer Hatsune Miku and other PIAPRO virtual singers. Following the initial success of these products, Ultra PRO and CFM has agreed to expand the range of products offered by Ultra PRO to include decorative wall scrolls. Planned MSRP for all wall scroll products shown will be $24.99. Crypton Future Media, INC. is a music technology company based in Sapporo, Japan. Crypton is Japan’s biggest importer and distributor of music software and various sound media since 1995, but also develops diverse music software, such as the singing voice synthesizer and character HATSUNE MIKU and other PIAPRO virtual singers. Ultra PRO has entered into a license with Aniplex USA to produce a series of trading card game accessories based on the art of hit anime series Kill la Kill. This award-winning title follows vagrant schoolgirl Ryuko Matoi on her search for her father's killer, which brings her into violent conflict with Satsuki Kiryuin, the iron-fisted student council president of Honnouki Academy, and her mother's fashion empire. 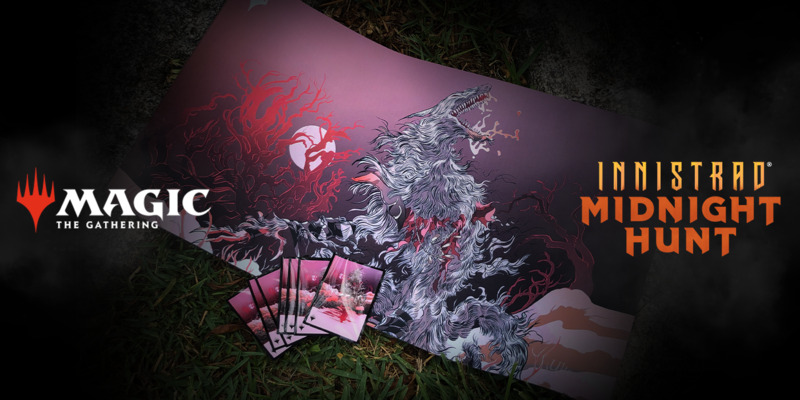 Current products planned include three new play mats to be available for the U.S., Canada, U.K., Australia, New Zealand and Ireland markets, and can be previewed here. In partnership with several top Magic: the Gathering players around the world, we are pleased to announce two major sponsorships of highly accomplished professional Magic: the Gathering teams. First is the formation Team Ultra PRO, consisting of several renowned Magic: the Gathering players and deckbuilders from the United States. Magic Pro Tour Hall of Fame players Bob Maher, Ben Stark, Paul Rietzl, deckbuilders Sam Black, Craig Wescoe, Adrian Sullivan and several others will be representing Team Ultra PRO at its Pro Tour Dragons of Tarkir debut. "I've been playing Magic for 20 years, and I've been using Ultra PRO sleeves on my decks for almost that long," said Matt Sperling of Team Ultra PRO. "When the possibility of teaming up with the most well-known supplies company in the game was presented to us, the reaction from the team was a unanimous 'Wow, let's do it!'" The second major sponsorship is with Team Mint from Japan. Team Mint is led by seven-times Grand Prix champion and the most successful Grand Prix player in history Yuuya Watanabe. Watanabe's professional Magic: the Gathering career began in 2007 at Grand Prix Kyoto, where he emerged as the champion and qualified him for his first Pro Tour. Watanabe’s most recent win was at the 2014 Grand Prix Beijing over Sherwin Pu, placing Watanabe at a tie with Kai Budde for number of Grand Prix victories. The competitive Magic: the Gathering community has long been a mainstay of professional tabletop gaming. 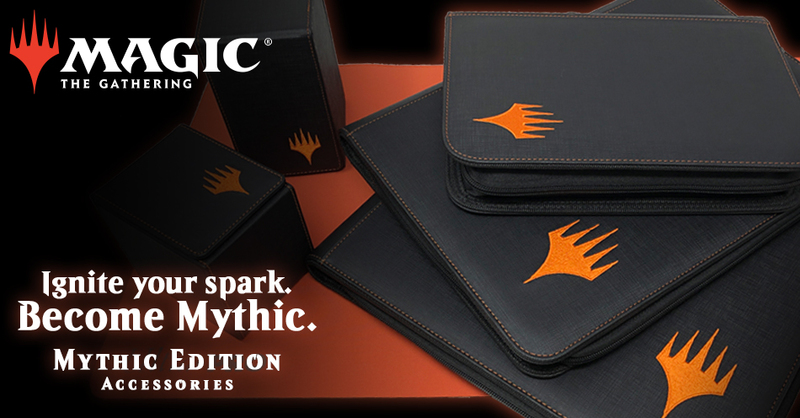 As the leading brand in our gaming market and a strong supporter of the competitive and sportsmanship aspects the game, we wanted to align our brand and our culture with some of the most successful players and respected thought leaders in the history of Magic: the Gathering. We are thrilled to kick off our partnership with Team Ultra PRO and Team Mint this year and, together, we look forward to playing a key role in shaping the future of competitive tabletop gaming. Giving back to the communities we serve has always been an integral part of our company culture. In 2014, Ultra PRO created PLAY IT FORWARD - a full product line of deck protectors, deck boxes and play mats aimed at benefitting charitable organizations. Through this program, we are proud to announce our partnership with, and our first donation to, the Pat Tillman Foundation through sales of our Camouflage line of trading card game accessories. 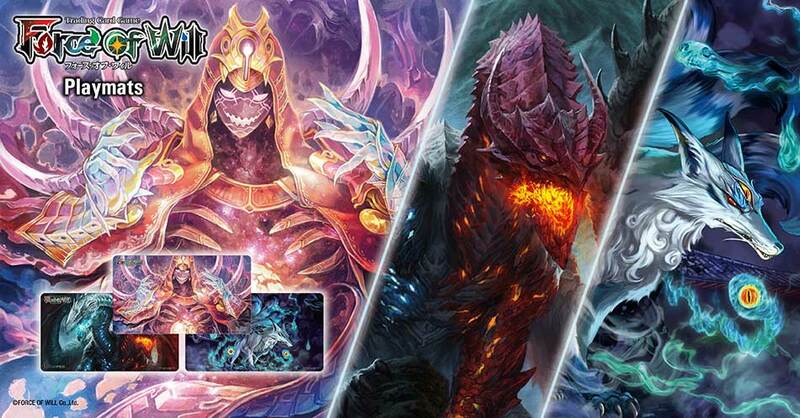 We are pleased to announce our collaboration with Arcane Wonders to offer two new Mage Wars Deck Protector sleeve designs, featuring the necromancer and monster eye. We anticipate shipping these new designs to distributors in February 2015. Sleeves are packed in 50-count packs, fit all standard size cards with MSRP of USD$4.49 per pack. 10/31/2014: Ultra PRO Sponsors Jasco Games' New Miniature Game - Dead Meat: Quarantine Zone America! Today, we’re happy to announce that we’re sponsoring an exciting new Kickstarter by Jasco Games: Dead Meat: Quarantine Zone America! This tabletop game is an innovative take on the zombie genre, pitting unique human factions against each other as they fight on a battlefield that slowly swarms with zombies. Be sure to check out the Kickstarter and look for the miniature that we sponsored! Ultra PRO International LLC (“Ultra PRO”) has entered into a license agreement with Crypton Future Media, Inc. (“CFM”) to produce a series of trading card and tabletop game accessories featuring the virtual pop singer Hatsune Miku and other PIAPRO virtual singers. Hatsune Miku is a humanoid persona created in 2007 to characterize revolutionary singing synthesizer software created by CFM. Since its creation, Hatsune Miku has garnered the attention of Japanese pop culture fans worldwide. With the help of cutting edge 3D projection technologies, combined with live musical talents, Hatsune Miku performs sold-out concerts around the world since 2009, appearing as opening act on Lady Gaga’s North American ARTPOP tour this spring, and continuing to deliver as “Hatsune Miku Expo 2014” plans this year’s concerts in Los Angeles (October 11 & 12) and New York (October 17 & 18). Ultra PRO plans to offer a full suite of Hatsune Miku accessories including Deck Protector sleeves, deck boxes, play mats and carrying cases. This partnership with CFM is a part of Ultra PRO’s overall strategy to increase its line of product offerings based on current pop culture icons. The Super Sixteen have been chosen! Round 3 is open for voting! From May 12th to May 31st, come vote for your favorite Commander Cards on Our Facebook Page. We have picked the top 64 Commander Cards and over the course of 3 weeks, they will be narrowed down to a single, player-chosen favorite. 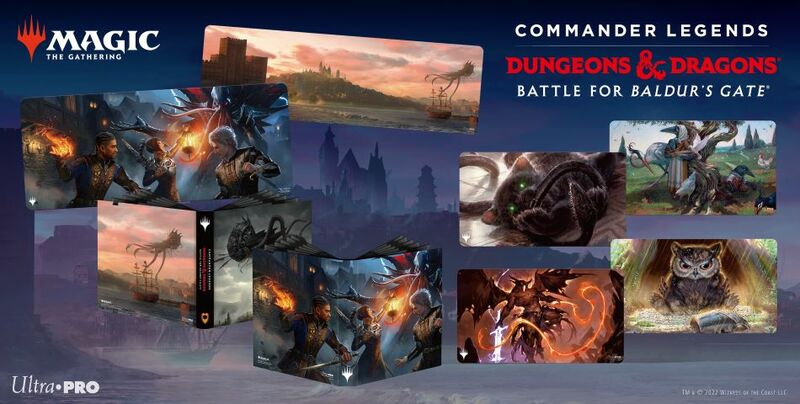 The winning Commander Card will have artwork featured on an upcoming Command Tower Deck Box and Deck Protector Sleeves. Who will reign supreme?! In a continuation of our partnership with Paizo, we will be launching new playmats and accessories for the upcoming Pathfinder Adventure Card Game release, Skull & Shackles. Read the full press release at Paizo.com's news site. We are proud to announce Ultra PRO's 2014 Sponsored Teams program which will be supporting the following four teams - Team TNLG (Magic, Yu-Gi-Oh!, Cardfight!! Vanguard), Team 316 (Cardfight!! Vanguard), Team P.E.A.C.H. (Kaijudo: Rise of the Duel Masters) and a new addition, Team Nova (Kaijudo: Rise of the Duel Masters). We are pleased to announce the launch of a new line of accessories based on Kabosu, a cute and lovely Shiba Inu which inspired countless "Doge" memes across the internet. A portion of all product sales will be donated through Kabosu's owner to various animal shelters throughout Japan. For more story on the heartwarming story of Kabosu, check out this article on The Verge. Ultra PRO has partnered with the leading voice of indie geek culture and popular digital entertainment network Geek & Sundry to bring five collectible cards to gaming hobbyist stores across the country. The current deck will include cards feature 5 of Geek & Sundry’s current shows: Spellslingers, TableTop, Co-Optitude, Outlands, and the Geek & Sundry Vloggers. 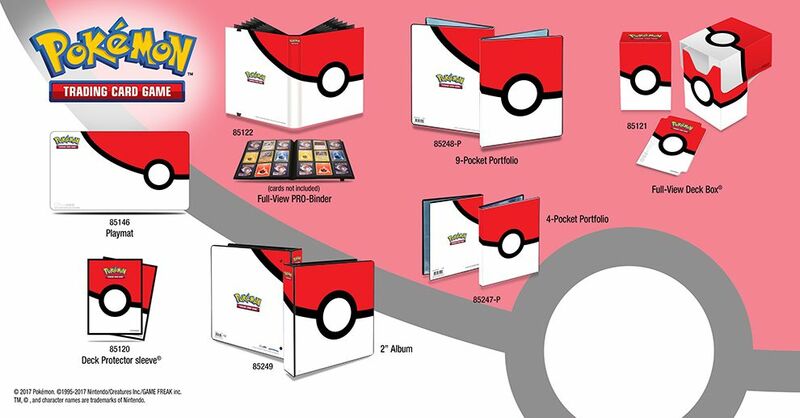 The cards will distributed as bonus inserts in upcoming Ultra PRO Standard Size Deck Protectors. A few lucky fans will receive rare autographed cards signed by cast members of the shows, such as Felicia Day (The Guild) and Adam de la Pena (Code Monkeys.) Look for more information on Ultra PRO and Geek & Sundry’s Facebook page and Twitter feeds in the coming weeks, as well as geekandsundry.com! Geek & Sundry is a digital entertainment company recognized for bringing the best in award-winning internet television content that features leading voices in geek culture and lifestyle. Founded in late 2011 by the producers of the pioneering hit series The Guild, the company offers a diverse lineup of compelling content and events that have cultivated a thriving community and social media presence for fans of comedy, gaming, comics, vlogs, music, and literature around the world. Geek & Sundry is spearheaded by prominent geek figureheads including Felicia Day (The Guild, Supernatural, Dr. Horrible) and Wil Wheaton (Star Trek, The Big Bang Theory), and has launched fan-favorite shows such as TableTop, Co-Optitude, Written By A Kid and Spellslingers which have earned them over 1 million subscribers, 75+ million views. The network has also launched a vlog channel dedicated to the line-up of 20 vloggers, which was developed with the view of nurturing new voices for the next wave of geek talent. Geek & Sundry has won multiple accolades and nomination votes from the Annual Streamys, IAWTV, Diana Jones and Producers Guild awards since launch. The office is headquartered in West Hollywood. Ultra PRO is pleased to announce a new distribution partnership in Indonesia formed with Mitra Nirwana. Retailers in Indonesia interested in carrying the Ultra PRO line of products can contact Mitra Nirwana by email at Sales@mitranirwana.com or by phone at (+62)81318031501. Ultra PRO is pleased to form a distribution partnership with Genesis Frontier for Singapore, Malaysia and Indonesia. Genesis Frontier carries a wide variety of trading card games, including Cardfight!! Vanguard and other Bushiroad titles, as well as other figurines, toys and other collectibles catering to the anime and hobby markets. Genesis Frontier's website is at www.genesisfrontier.com. Through a license with Aniplex USA, Ultra PRO will be bringing you new trading card accessories featuring popular anime title Sword Art Online. 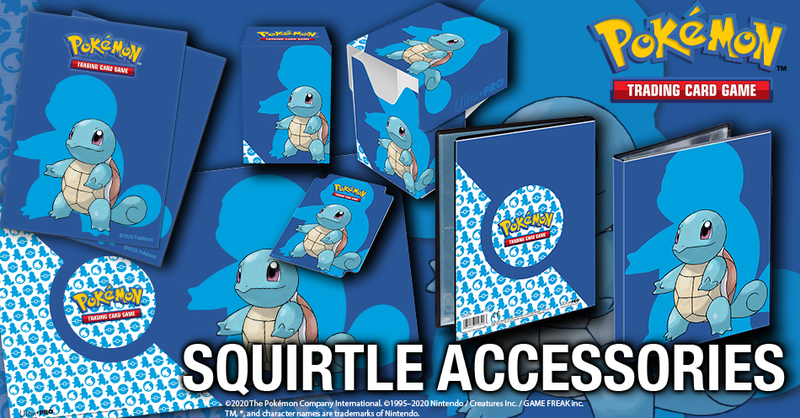 Products will be available to distributors in English territories. We are pleased to announce the three competitive gaming teams participating in Ultra PRO's 2013 Sponsored Teams program - Team TNLG (Magic, Yu-Gi-Oh!, Cardfight!! Vanguard), Team 316 (Cardfight!! Vanguard) and Team P.E.A.C.H. (Kaijudo: Rise of the Duel Masters). Orlando, Florida. – May 6, 2013 – Coqui Hobby Distribution, LLC, a leading Hobby Distributor to Latin America, announced today its partnership with Ultra PRO, a leading manufacturer of game, comic, sports cards, and photo accessories. Coqui Hobby Distribution, LLC will immediately offer a full range of Ultra PRO products to Latin America. Coqui Hobby Distribution, LLC is a leading distributor for Latin America. With their very knowledgeable staff and dedicated Organized Play specialist, Coqui Hobby Distribution, LLC is a region leader in bringing retailers the hottest products at competitive pricing without sacrificing customer service.